Summerville, SC, is the place to be when you’re looking to enjoy a delicious drink with incredible people. With so many lively local bars and restaurants in the city, it can be tough to decide where you want to meet friends for a Friday drink. At Alta Brighton Park, we’ve put together this list of our favorite places to find a flavorful cocktail – and a good time. Featuring delicious food, live music, and weekly promotions like Thursday Game Nights and Trivia/$2 Taco Tuesdays, Montreux Bar and Grill is the go-to spot for celebrating life in Summerville. With a seemingly endless wine, beer, and cocktail menu, Montreux Bar and Grill has something for everyone. With happy hour from 4 to 7 PM Monday through Friday, you won’t have to break the bank to enjoy a mouthwatering drink with friends and family. Combining fresh, farm-to-table Southern fare, delectable drinks, and affordable prices, there’s a reason why The Icehouse Restaurant was voted best restaurant in The Summerville Journal Scene Readers’ Choice. 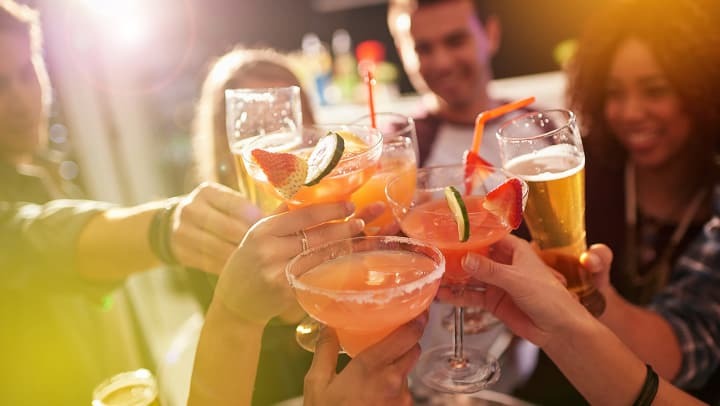 With an impressive range of drink choices, weeknight specials Monday through Thursday from 4 to 6 PM, and a lovely outdoor area where you can enjoy a breath of fresh air, The Icehouse Restaurant is a great place to check out any day of the week. For over 35 years, Oscar’s has been pleasing the palates of Summerville locals and tourists with their traditional American dishes, specialty drink menu, and inviting ambiance. Whether you’re looking to see what’s on the ever-changing lunch buffet menu or you’d rather just come in and enjoy a drink on the rocks or martini-style, Oscar’s is ready to give you exactly what you’re looking for. A local favorite, SOL Southwest Kitchen has everything you could ever want in one place. With Mexican-style dishes featuring a Southern twist, SOL Southwest Kitchen has one-of-a-kind flavors that you won’t find anywhere else. From homemade salsas and sauces to delicious handcrafted cocktails and a growing brunch menu, you’ll never order anything less than amazing. Get your friends together on a Saturday afternoon, order your favorite tacos, and top the whole experience off with one of SOL Southwest Kitchen’s just-juiced Jalapeno Cucumber Margaritas. If you want to learn more about all of the exciting things to do in Summerville, SC, check out Alta Brighton Park’s blog.